Thanks for stopping at Zoe's Bag Boutique. Here you can find an eclectic mix of options to build your own bag, or buy one off the rack. Zoe's Bag Boutique isn't your run of the mill shop, it's the place to find your dream bag. Enter at your own risk, you might not want to leave! 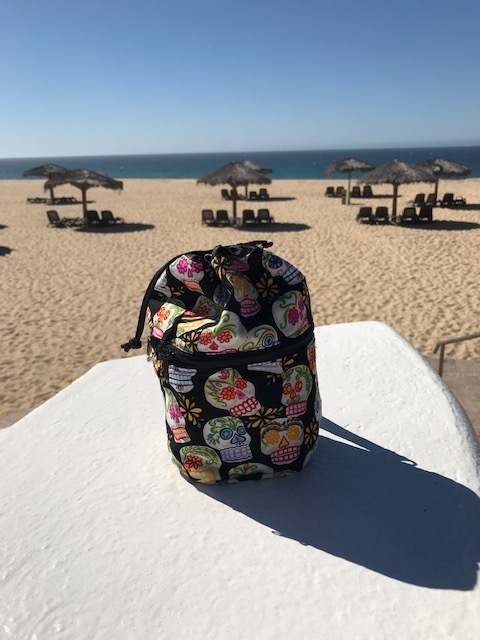 Many thanks to Shawn for sharing this pic of her Kipster knitting bag "in the wild" in Cabo San Lucas!